It won’t be long now! Of all the many reasons to visit PlayStation Experience 2016 this December 3 and 4 in Anaheim, California, the opportunity to go hands-on with a slew of new and upcoming PS4 and PS VR games on the show floor is surely one of the brightest highlights. This year, the lineup is looking strong. Below, see a near-final list of exhibitors you will find at PlayStation Experience 2016. It’s stacked! In the lead-up to PS Experience 2016 on December 3 and 4, we’ll be sharing more details about our panel lineup (looking quite promising), playable games, and much more. Until then, tickets are still available for those of you who haven’t had a chance to get them yet. They can be purchased right here! Sucker Punch’s absence is disappointing. And Naughty Dog? Will we get a TLoU2 teaser or are they attending to show off Uncharted 4 and TLoU Remastered running on the Pro? They are not announcing the surprises. Maybe Sucker Punch is not listed because they want us to think they will not be there! ND is probably showing UC4 single-player DLC, but I would take some TLOU2. Naughty Dog just released Uncharted 4, they have nothing to show right now. You’re assuming there is a TLoU2, personally I’m hoping there isn’t. A lot of the audience feels that way. We might get a tease of their next project, but its like PS4 Pro related news o more Uncharted 4 Content. Where is my Co-op naughty dog. Though I seriously doubt they’ll show anything new off. Sucker Punch, they likely felt what ever they are working on is not ready yet. I’d say wait for E3 2018. They don’t want to take attention from Horizon Zero Dawn anyway, which is Sony’s current focus after The Last Guardian releases. They might show off some Crash Bandicoot stuff, weren’t they working on a reboot or a remaster or something? I’m thinking Uncharted 4’s Single Player DLC. Too early for TLOU2….even if it does exist. Japan Studio is a gem. Hopefully NNK2 and Ace Combat are there with Bandai Namco. I wonder what Sumo Digital will be showing, maybe LBP stuff? Those guys could make one damn good Playstation Characters kart game. Not to mention the Final Fantasy XII remastered has been playable at all the PAX shows, so I was hoping it would be at PSX. “Near final”? i smell Polytron / Phil Fish coming back with FEZ 2! Phil Fish coming back with FEZ 2. What about PSX press Conference????? Where is Rockstar Games with their Red Dead 2 Demo Set and the Trailer for it and Why ain’t they Attending PlayStation Experience 2016? i can see Japan Studio but where’s FromSoftware for Bloodborne 2!? 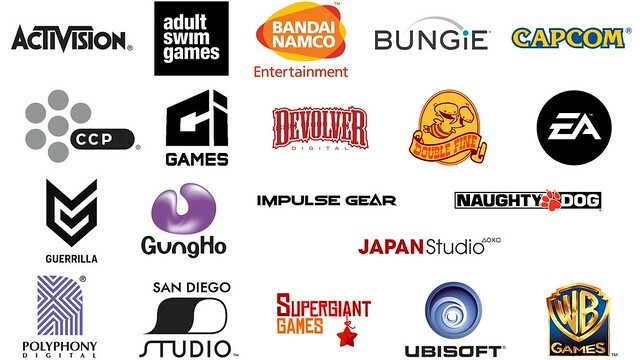 No SEGA/YSNet? Was hoping to see Shenmue 3 re-reveal at PSX. But maybe they’re keeping it a surprise? It’s all good, i’m really looking forward to Death’s Gambit. That was my game of show last PSX. Sony: So it seems that everyone is heading over to my event in Anaheim, California to see some awesome games I have in store. Microsoft: Yeah, forget Disneyland. You have a “Disneyland” of your own. Except it’s for gamers. Especially when people are hyped for my Project Scorpio and your PS4 Pro. Too bad your PS4 Pro doesn’t have an 4K Blu-ray drive. Sony: Oh well, 4K video streaming is the future anyway. Microsoft: Oh, and BTW, I saw that Nintendo has announced the Nintendo Switch as their next video game console. Sony: What about the Nintendo “Switch”? Microsoft: It appears to be both a console system and a handheld system all in one. It also appears to have detachable controllers as well. It’s also confirmed that a lot of 3rd-party companies are supporting the Nintendo Switch. Sony: So it’s basically another gimmicky game system. And “a lot 3rd-party companies are supporting the Nintendo Switch” you say? I heard the same thing about the Wii U, and we all know how well that went. If it fails like the Wii U did, which I’m predicting it will, then I have basically kicked Nintendo out of the video game hardware business the same way I did to Sega. Microsoft: Yeah, I predict that it will fail too. Nintendo: *walks into the bar with the opening theme to The Good, The Bad, and The Ugly playing in the background* You may have blown Sega out of the video game hardware business, but you two guys will NEVER blow me out! My legacy is too big to erase, your Ratchet and Clank movie is a bigger failure than my Super Mario Bros. movie, my Pokemon Go app is huge success, and so will my Miitomo and Super Mario Run apps, and so will the Nintendo Switch. Sony: Well at the least the Ratchet and Clank fanbase loved my Ratchet and Clank movie unlike your Super Mario Bros. movie which is hated by the Super Mario Bros. fanbase. Microsoft: Yeah, and what do you mean “so will the Nintendo Switch”? What else you have in store for it. Nintendo: You two will see on the 12th of January next year. You two will see what else I have in store for my Nintendo Switch. Either they’re a surprise dev that will announce more about the FFVII remake or they won’t be there since FFXV will have released by the time Experience takes place. If the latter is the case then all they really need is for Sony to have a PS4 or two setup running FFXV for gamers to try. Here’s to hoping for the Rick and Morty vr game from adult swim. I hope Double Fine gives us Full Throttle! That will tide me over until Psychonauts 2. Just bought a ticket! My first time going to it’s going to be lit! – WB games: Possibly some news on Injustice 2. – Capcom: More info on Resident Evil 7, Street Fighter V, and Capcom Pro Tour. – Bandai Namco Entertainment: Please let there be a character reveal and cool info on Tekken 7. – SNK Corporation: Bringing back their other classics such as Samurai Showdown, Metal Slug, Garou: MOTW 2, etc. – Devolver Digital: Hoping for Broforce 2 or a release date for Mother Russia Bleeds. I kinda expected IG not to be on the list. They’re most likely keeping Spider-Man PS4 quiet for a surprise appearance. Sad Sucker Punch isn’t on the list tho. If you don’t mind PlayStation, please add an update so we can change our PSN (gamer tag). That would be most appreciated. Cyan, Inc. is the most exciting thing on this list. Obduction for the PS4 is hopefully incoming!!! Ska Studios!!! Hope they have news for S&S! DLC please! Glad that Limited Run Games will be there, that’s neat. Love them. Wonder if TLG and GR2 are the only things Japan Studio will have. It did say a “near final list” so maybe there’s still a chance for them? Would love to hear from Kohima Productions (duh – look at my name lol) and also want to know even more when Gaijin will have VR support for War Thunder – seriously if there was support for it at E3 and it was working in a YouTube video about a year ago, why would we not have a working version now? Definitely Ni no Kuni II but Dark Souls 4 will not be there at all. A Bloodborne 2 announcement would be really rad though. I just hope for a sequel to PlayStation All-Stars. So stoked on this! Missed last years, but was at the first PSX in Vegas. Bummed that Housemarque isn’t attending, but only because I really want a Resogun shirt. why can’t I purchase more than one ticket? Hey everyone…I was trying to buy 3 tickets to the PlayStation experience…but it will only let me purchase one…. Is there a way to buy 3 all at once?